Thank goodness some billions are spent on art. In a time when the tradition of communal filmgoing seems on the way out, there are few spots where a diverse menu of films for discriminating customers exists. 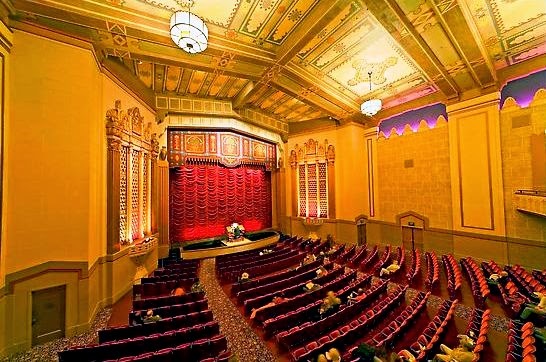 Fortunately, thanks to classics professor and philanthropist David Woodley Packard, one northern California gem has been preserved and restored, set aside as a venue that features family-friendly, Golden Age classic cinema. 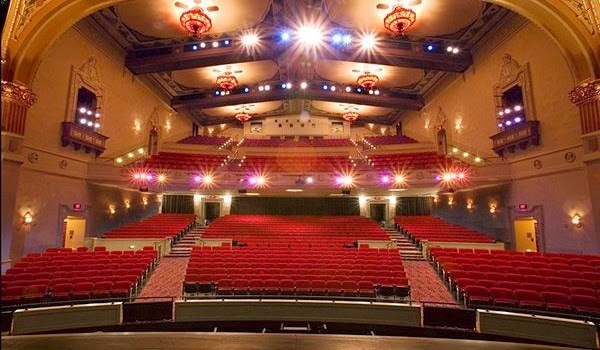 The Stanford Theatre opened in 1925 in Palo Alto and persisted for decades. In 1987, the David and Lucille Packard Foundation purchased the venue, renovated it to the tune of $8,000,000, and dedicated it as a revival house screening films produced primarily between the years 1920 to 1965. During our recent California trip, we came upon this sweet place in the course of touring potential colleges with our son; our timing was off (the theater is open Fridays through Sundays) but the exterior looked beautiful. 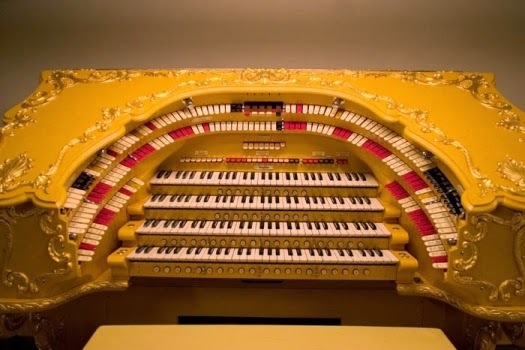 Inside, Packard replicated the ceiling mural in the auditorium, the ticket booth, the snack bar – and, in 1995, installed a vintage Mighty Wurlitzer theater organ in the pit, allowing some of the few film accompanists in the county a chance to work the keys again. As well, an annex to the movie lobby contains a gallery sporting theater posters and memorabilia. The film programs are lovingly curated, and range from examinations of film noir through tributes to Astaire, Sturges, Grant, Hitchcock, horror, and even Kurosawa. A Palo Alto history site estimates that 25 percent of the classic-film attendance in this county goes through the turnstiles at at the Stanford. Ray Oldenburg and Robert Putnam have discussed the concept of “the third place” extensively – that place outside of home and work where people can gather and interact. Given our largely secular culture, the movie house is one of those great third places – a window into dreams and different vistas, unfamiliar and exciting perspectives that demand our attention – and long discussions afterward over pie and coffee. Places such as the Stanford are shining, not-yet-obsolete exemplars of this social need.